Home / News / EABL All-1st and All-2nd teams announced! 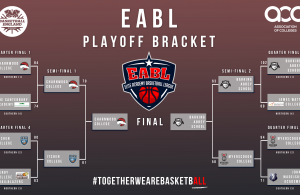 Thursday provides us with the opportunity to recognise this season’s All-1st and All-2nd team selections from across the EABL after another stunning season. 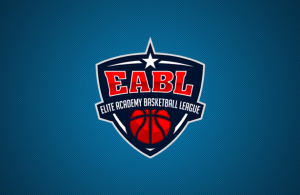 All selections were based on the regular season only, and teams were voted for regardless of position by teams and coaches across the EABL. After going 14-0 on the year, it’s unsurprising that Charnwood dominate selection to the Conference’s All-1st team. With a league best efficiency of 26, Niall Harris (19ppg, 6.8rpg,4.6apg,3.2spg) gets the nod along with Hosana Kitenge (16.8ppg, 11.5rpg, 24.5eff) and guard Blaize Sagna (14.7ppg, 3.9apg). The remaining two places go to rising star Mate Okros (13ppg, 6.4rpg,3.0apg, 2.2spg) from Myerscough College and Tosan Evboumwan (16ppg, 9.5rpg, 4.8apg, 2.0spg) from Newcastle Eagles. Okros continues to be one of the EABL’s most rounded players, excelling at most facets of the game, whilst Evvboumwan filled up the stat sheet week after week despite his team’s struggles. 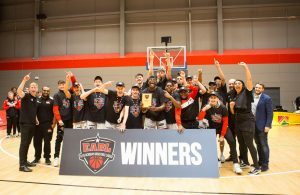 Two sides complete the Conference’s All-2nd team as Myerscough teammates Callan Low (14.8ppg, 3.9rpg, 2.8apg) and Sanmi Fanjana (10.5ppg, 4.9rpg) both find their way into the side, along with Daniel Penkov (16.8ppg, 3.3 3pmpg, 4.9rpg, 4.0apg, 2.9spg), Wakeem Richardson (19.4ppg, 12.7rpg,2.3apg, 3.0spg) and Ian Rodrigues (17.0ppg, 7.7rpg, 4.1 apg, 3.2spg) from James Watt. As this season’s defensive player of the year in the North, it is no surprise to see Richardson making the grade. His team mate Dan Penkov is one of the hottest shooters around from beyond the arc, he was another straight -forward choice for selection. The All-1st Team in the South is a more varied affair, with Copleston’s Defensive Player of the Year Ethan Price (31.1eff, 20.7ppg, 14.3rpg, 2.1 apg, 2.4spg, 3.4bpg) leading the way. He’s joined by a fellow defensive standout in Barking’s Ade Adebayo (11.7ppg, 4.9rpg, 4.6apg, 2.1spg) and Itchen starlet Jeremy Sochan (17.8ppg, 11.7rpg,3.9apg, 2.4spg, 2.1bpg). Elias Poorman (17.5ppg, 21.6eff, 8.5apg) from Alec Reed and Jonathan Brown (11.4ppg, 5.4rpg, 3.7apg) from Barking round things out. Copleston duo Ben Winter 16.7ppg, 5.5rpg, 4.9apg, 2.8spg) and Vernon Eze (20.3ppg, 7.6rpg, 2.8apg) headline the All-2nd team, which also features the Conference’s Most Improved Player, Milo Gordon (17.1ppg, 8,9rpg, 3.6apg, 2.4spg, 1.3bpg). David Chive (11.7ppg)5.1rpg, 2.8spg) has enjoyed a solid season for John Madejski Academy and he’s been voted in, as has Itchen’s Peter Turay (16.2ppg, 9.1rpg, 1.4spg). Tomorrow we’ll conclude the Academy League Awards Week with the prestigious MVP awards! ← Previous Story Jeremy Lievin and Milo Gordon win Most Improved Player awards! 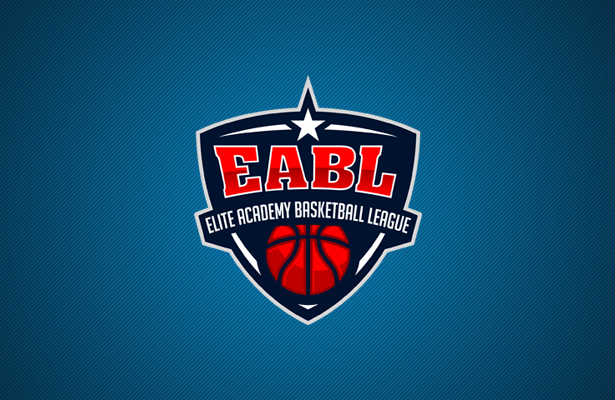 Next Story → Niall Harris and Ethan Price win EABL MVP awards!